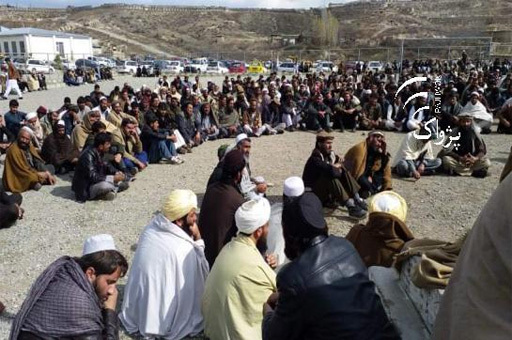 GARDEZ (Pajhwok Afghan News) — Residents of the Zazai Aryub district in southeastern Paktia province of Afghanistan on Monday protested against what they claimed the killing of seven civilians in an American drone strike. Nasir, a resident of Alikhel area, said one child, three women and as many men were killed in the drone strike. He rejected officials’ claims that the drone killed suspected armed men. Naveed, a resident of the locality and a civil society activist, termed such attacks deliberate and said foreign forces often targeted civilians whenever some development occurred in peace talks between the government and the Taliban. He said such attacks were carried out to sabotage the peace talks and spread anger among common people.